Mycenae was one of the most important palatial centers in ancient Greece. It first referred by Homer in his epics & its name was given to one of the greatest civilizations of Greek prehistory, the Mycenaean civilization. 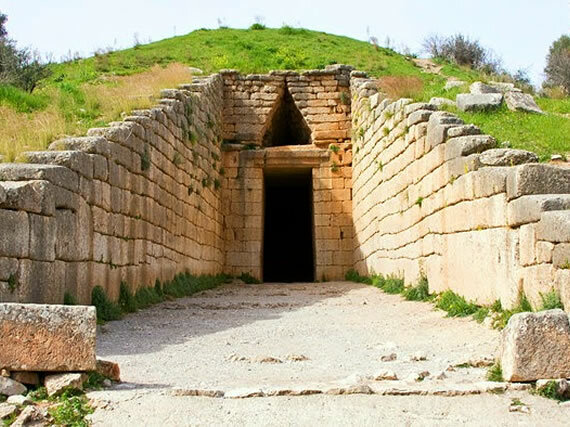 In accordance to mythology, Mycenae was founded by Perseus, son of Zeus & Danae. It reached its peak during the reign of Pelopidon dynasty. The first ruler of this dynasty was the Atreus whose successor was his son the "mythical" Agamemnon, who led the Greeks in the war against Troy. The Acropolis of Mycenae is built like a fortress in natural position. The most impressive monument to the visitor are the Cyclopean Walls surrounding the Acropolis of Mycenae. The walls exceed a height of 13 meters & a width of 8 meters & the construction is dated around 13 century B.C. According to the legend, the walls built by the mythical Cyclops & because of them the naming. 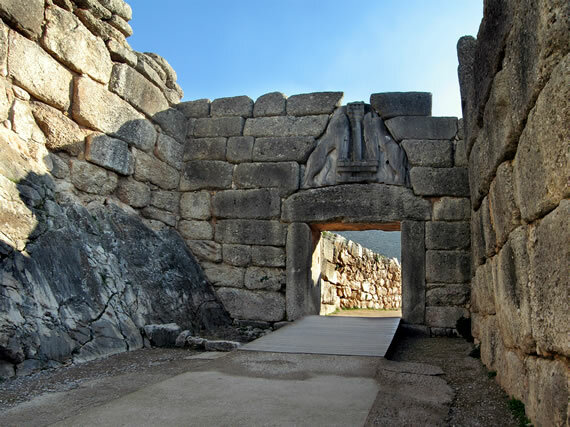 The main gate of the Acropolis of Mycenae is the famous Lions’ Gate which was built around 1250 B.C. This magnificent megalithic monument is considered as the first example of the monumental sculpture in Europe. On its top there is a relief triangular structure depicting two lions among which there is a Minoan column. One of the most impressive tholos tombs is the Treasure of Atreus (or Agamemnon Grave) which was constructed between 1350 & 1250 B.C. The access to the tomb is through a road (36 meters long & 6 meters wide), which is carved into the rock & lined with smooth stones. The tomb is in an excellent condition.